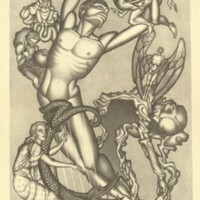 Lithograph titled "The White Powers". 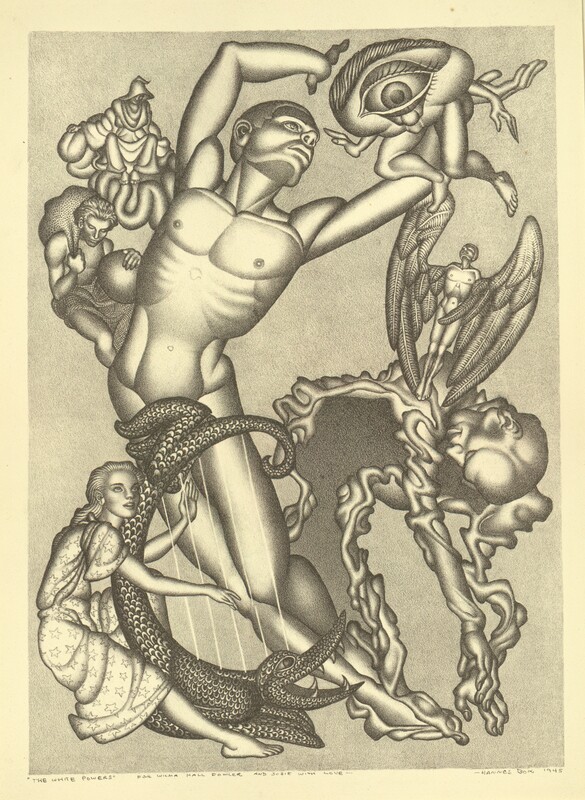 The piece depicts a large man reaching towards the sky with smaller figures around him. There is a note at the bottom of the piece which states, "For Wilma Hall Fowler and Susie with love". 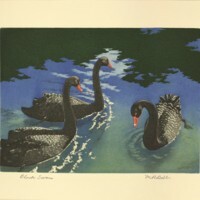 Bok, Hannes, “The White Powers,” Digital Exhibits, accessed April 22, 2019, https://cuexhibits.wrlc.org/items/show/196.